Just a few weeks ago, legendary Japanese drifter Daigo Saito shared some early work in progress photos of the world’s first 2JZ-swapped Toyota GR Supra. 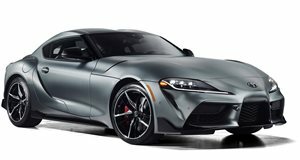 Someone was always going to swap the new Supra’s BMW-sourced, 3.0-liter turbo with the old model’s legendary 2JZ engine sooner or later. It just happens to have been done by a professional drifter for the first time. The project has since been completed, and now you can watch the world’s first 2020 Toyota GR Supra drift car in action. A video uploaded by Monster Energy treats us to footage of the car being built as engineers rip out the engine of a camouflaged Supra that looks like one of the prototype test mules spotted before the car’s reveal. We then see the tail-happy Supra go for a dyno run to measure its performance before being let loose on the track to perform some smoky sideways action. Under the hood, Daigo’s new GR Supra is powered by a custom-built 3.4-liter 2JZ inline-six tuned to send a substantial 800 hp and 651 lb-ft of torque to the rear wheels through a sequential transmission. The front end looks completely new, and the modified A90 also has a new suspension setup and steering arms. Wider arches also had to be fitted to accommodate the larger wheels. Remarkably, the car was apparently built in just 42 days. Unfortunately, the car’s public debut at the Monster Energy D1GP All Star Shootout in Japan last weekend didn’t go too well. A video on Instagram shows a fire starting in the paddock at the back of the car and another erupted during a drift run, but it isn’t clear how much damage was done. Hopefully the car will be back up and running soon and continue to torture tires for our entertainment in time for the Formula Drift competition that begins in Long Beach, California, on April 5.